From floods to radio systems, 2018 was a significant year for the KVFD. Have a look back at 2018 by reviewing our annual report. A home on Sunrise Drive in Quispamsis had significant fire and smoke damage after a fire early Sunday evening. Firefighters were dispatched around 6 pm after a passerby noticed smoke coming from the home. After making entry they found the kitchen heavily involved in fire and extinguished it quickly, however the home had smoke damage throughout. No one was home at the time of the fire and there were no injuries. 10 firefighters were on scene for 3 hours to complete overhaul of the home. 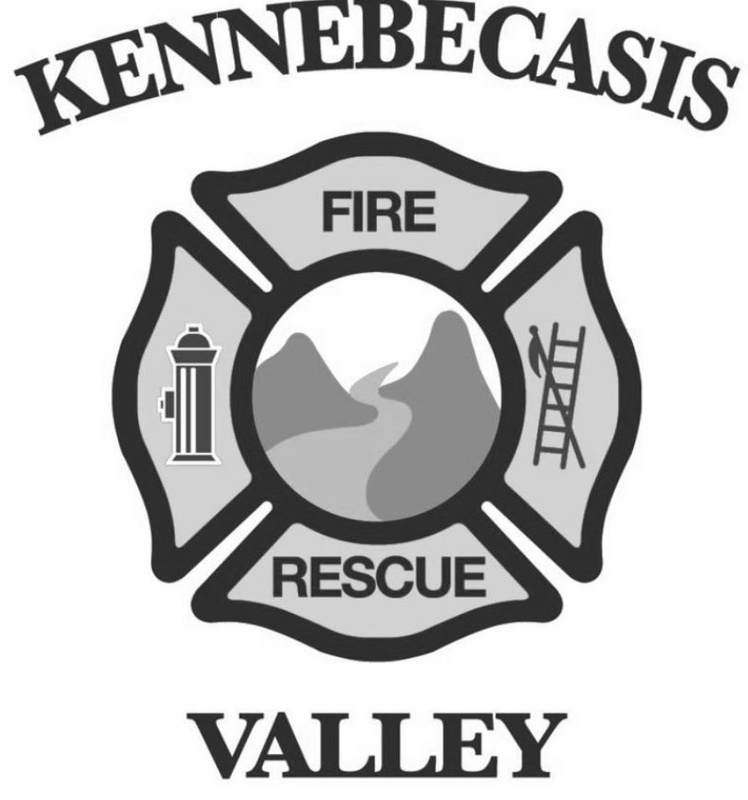 The Kennebecasis Valley Fire Department, in partnership with the Kennebecasis Firefighter’s Union, is pleased to announce the launch of its Joint Mental Health Initiative. This initiative, with a simple goal of keeping our members healthy, has four main areas of focus including both preventative and reactive measures. These areas include prevention (stigma, resiliency, education, workplace culture) emergency response (during and post incident), organizational crisis, and individual issues ranging from family issues to PTSD. With support from our IAFF Peer Support members, our Chaplain, Dr. Bruce Smith, and members of our management team, the department is proud to support our members with this initiative. Throughout the month of February, the department will be delivering a “Road to Mental Readiness” refresher course to our members and hosting Michael Johnston, founder of Hope for Heroes Canada, to discuss PTSD. Friday night began a busy weekend for KVFD firefighters with an accident on Highway 1 and at the same time a smell of gas in a home in Quispamsis. 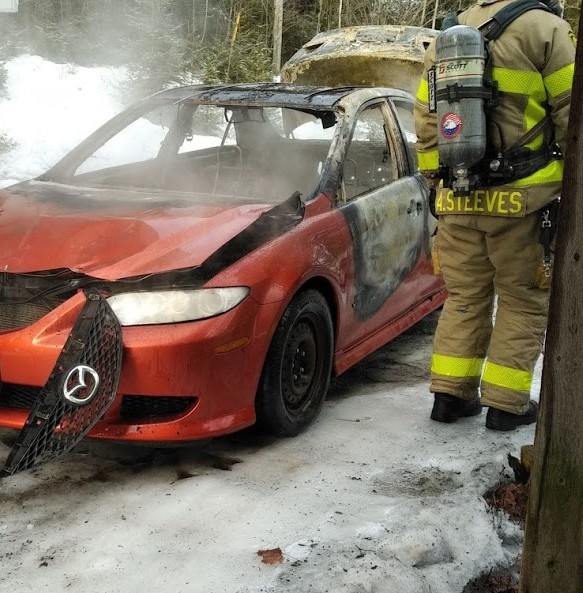 On Saturday in French Village, a car was destroyed by fire and damaged a nearby garage. Later that afternoon, Tank 1 assisted Hampton Fire Rescue with water supply for a fully involved garage fire. 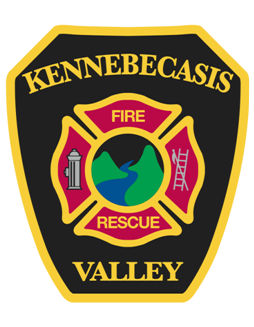 Saturday evening firefighters assisted the Kennebecasis Regional Police with scene lighting and an area search while they searched for a missing person in Rothesay. 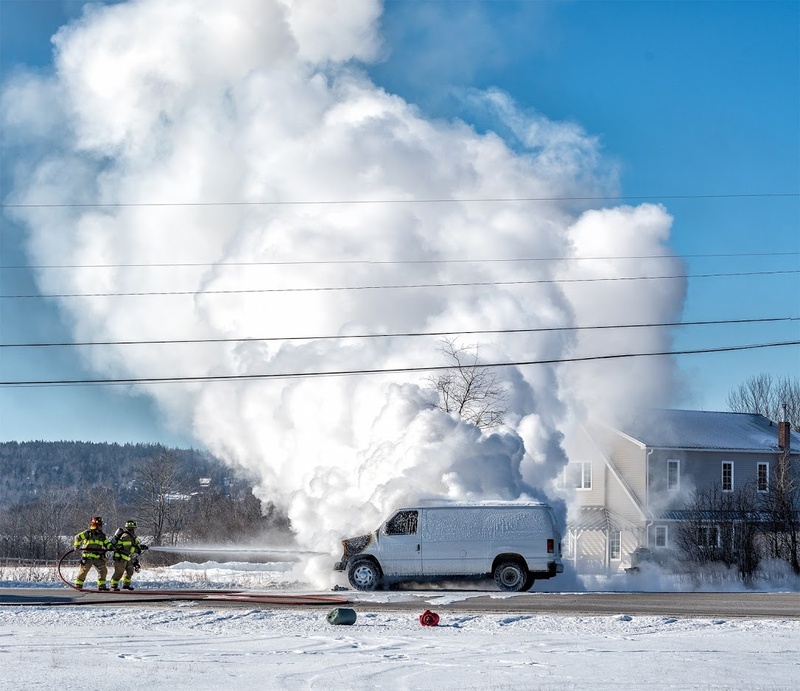 The KVFD was dispatched for a vehicle fire on the Hammond River Road in Quispamsis just after 11 am today. The engine compartment of a utility van was fully engulfed in flames and it was extinguished quickly by the responding firefighters. The cause is under investigation. Shortly after, firefighters responded to a dumpster on fire on Sierra Avenue in Rothesay. A single car garage was heavily damaged by fire on Saturday afternoon. The fire, which appears to be accidental, started in the back of the garage and caused considerable damage. Firefighters knocked the fire down within minutes of their arrival; a nearby home and vehicle were not damaged. Police officers from the Kennebecasis Regional Police and paramedics from Ambulance New Brunswick were on scene for the duration of the incident. 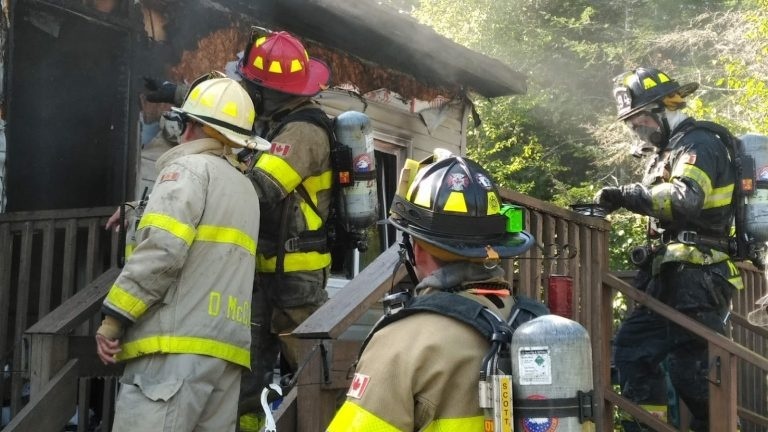 A home was destroyed by fire Saturday morning on the Bradley Lake Road in Rothesay. Two members of the family were home at the time and managed to escape the fire after being awoken by their cat. Just after 8:30 am this morning, firefighters arrived to find the home heavily involved in fire with flames coming out of the roof of the home. There was significant damage caused by the fire and the homeowners were being assisted by the Canadian Red Cross. Tanker trucks from the Saint John Fire Department, Hampton Fire Rescue, and the Nauwigewauk Fire Department assisted with the water supply.